Touted as one of the latest and greatest “super fruits”, the Goji Berry is suggested to benefit those who suffer from cardiovascular disease, vision-related diseases such as glaucoma and macular degeneration, and certain types of cancer. The berries are often consumed fresh or dried, and the flavor is somewhat similar to that of a cranberry. The trees grow as a multi-stemmed weeping bush, and the small but showy lavender-colored flowers occur on the long, outstretched branches. They fruit readily in containers in just one to two years, and can be trained on a trellis with ease. 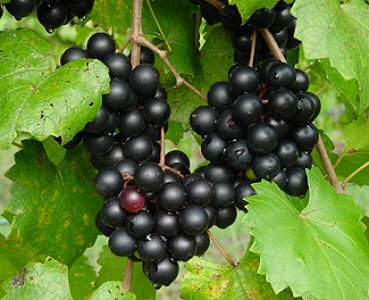 The muscadine grape is native to the southeastern United States and is found in the wild from Delaware to the Gulf of Mexico, and westward to Missouri, Kansas, Oklahoma and Texas. Many older varieties were selections from the wild, but the Georgia Agricultural Experiment Station and the U.S. Dept. of Agriculture have introduced a number of improved varieties that have become standard cultivars. The four varieties listed above are all self fertile, and they fruit well throughout South Florida. 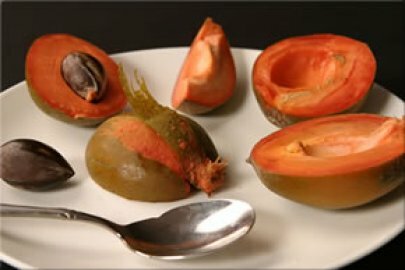 The green sapote is very closely related to the mamey. 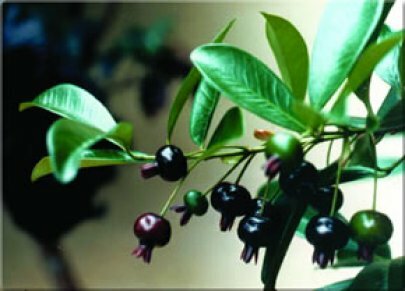 The fruit have a smooth, leathery, green skin that has a slightly reddish hue when ripe. The pulp is creamy and moist, and they are typically single-seeded. The flavor can be compared to a creamy pumpkin pie, and they are most often eaten fresh or in a milkshake. The grumichama is a small, compact tree that can be grown as a standard or shaped as a hedge. The plants have beautiful, glossy, dark green leaves and rough, corky, textured bark. Fruit deep purple to black when ripe and they have a flavor very similar to that of jaboticaba. They are most often eaten fresh and used in jelly. 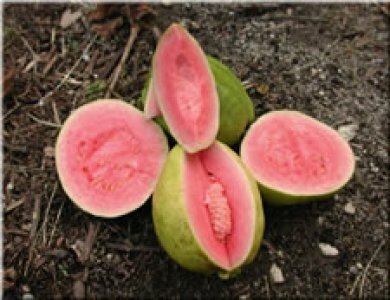 Guava is enjoyed in jelly, juice, pastries and a multitude of other recipes. The fruit can be round to pear shaped, and they are typically about the size of a baseball. The pulp is smooth, sweet and extremely aromatic. The trees are heavy producers, and will begin fruiting at just one year of age. 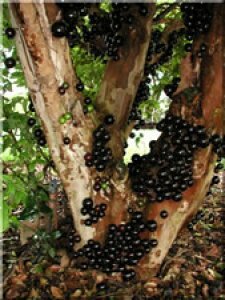 The jaboticaba forms a small bushy tree that has multiple ornate stems. The fruit are grape-like, with a thick skin and melting pulp. They are eaten as fresh fruit, in jams and in wine. They can be frozen whole, to enjoy throughout the year. Because the fruit occurs on the old growth, it is best never to prune them. They are especially cold, hardy plants, and they like a lot of water. Jakfruit trees are large by nature. They can be pruned annually to 12' x 12' producing as much as 200 lbs. of fruit per year. It is the largest fruit that grows on a tree. The heaviest ever recorded weighed 275 lbs., but they are typically 10-35 lbs. Cooked green, the fruit can be used as a vegetable. It can be boiled, fried, grilled, roasted, or prepared with sauces. Mature seeds are also prepared in dishes. The ripe fruit tastes like a combination of mango, banana, pineapple, and cantaloupe. It is often compared to juicy fruit gum. 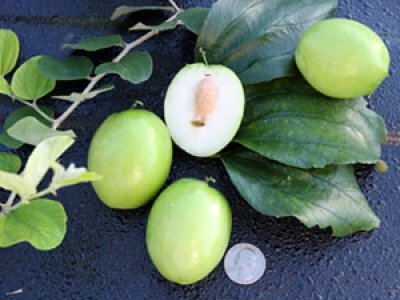 Having the texture and flavor of an apple, the jujube are often referred to as manzana or manzanita, meaning apple or little apple in Spanish. 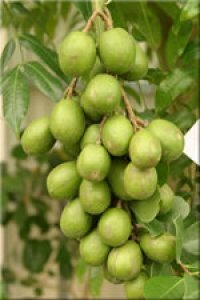 It is an important commercial fruit crop in Thailand, Vietnam and India, and it is grown on smaller scales throughout Malaysia and Australia. The trees are bush-like, with a weeping habit, and they will bear fruit at just two to three years of age. Jujubes are known to be extremely prolific producers. The dwarf ambarella is a fast growing plant that will produce fruit in less than one year, and at a height of only two feet. They are often eaten fresh, or made into drinks and jellies that taste something like apple butter. They have a single sharp, rather large, spiny seed. 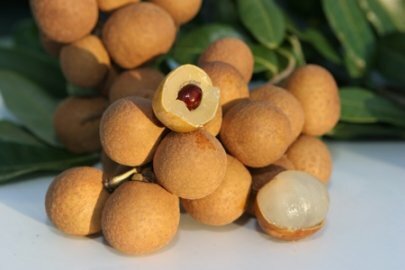 The longan is a very close relative of the lychee. The fruit are typically the size of a quarter, and they have a brown leathery shell that contains what looks like a peeled grape with a single seed. The fruit are sweet, with a pleasant aroma, and they taste like a nutty grape. 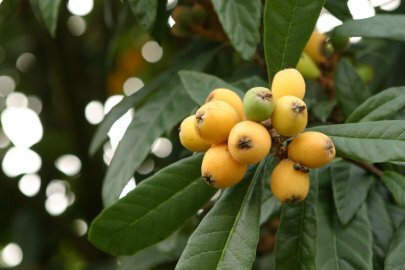 Loquats are shaped like Christmas trees, but they have large fuzzy leaves that are green on top and silver underneath. The fruit tastes like a combination of peach and apricot. They are most often eaten fresh, in jellies and in wines. The trees will begin fruiting at just one to two years of age. 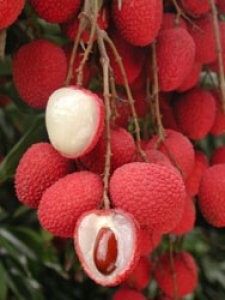 Lychees are one of the most renowned fruits of the world. 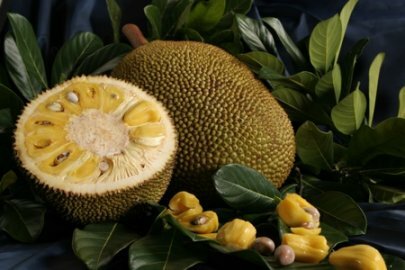 Today they are grown on every continent except Antarctica, and they are famed as the "King of Fruits." Despite their worldwide distribution, they remain one of China's best kept secrets. They can best be described as having the flavor of passion fruit and grapes with the scent of a red rose. The fruit are highly addictive, and they can quickly become an expensive habit.